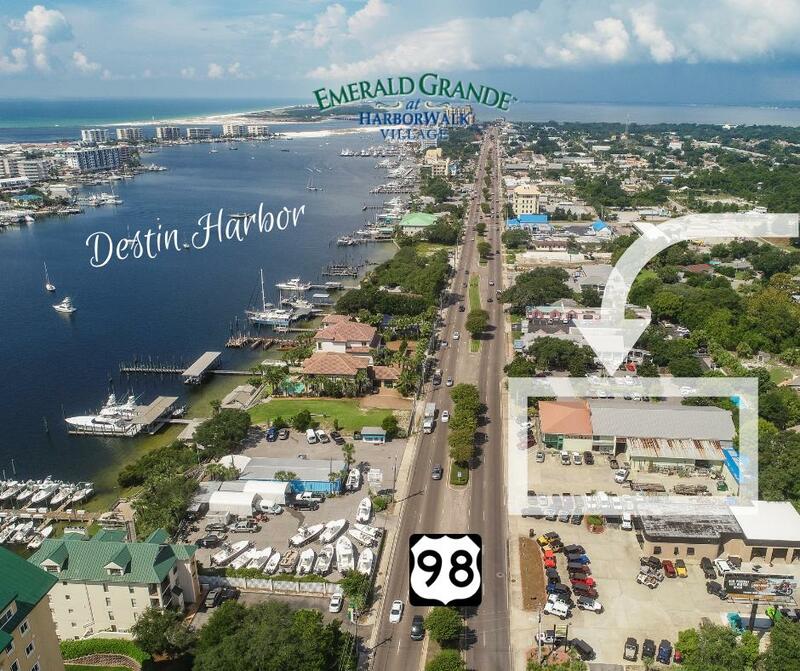 Spectacular floor to ceiling glass frontage stand-alone Showroom and Storage/Service building, on Harbor Blvd (Hwy 98) in the heart of Destin with plenty of parking. Located next to the Elite Jeep dealership and across the street from The Ships Chandler. Enjoy high visibility 47,500 VPD and less than 2 miles East to Harbor Walk Village. This perfectly expansive building on its parcel holds endless possibilities for a new owner to self- occupy or Lease as an investment. Seller will consider owner financing. Currently there is a month to month Tenant in place. Buyer must verify all dimensions and property information.